A lot of scientific evidence suggests that the world once experienced a flood so large that it covered the entire planet, wiping out animals and people. In the Western world, everyone knows the legend of Noah’s Ark and the idea of The Great Flood is deeply tied to many religions. It turns out that nearly every culture around the world has its own version of a Great Flood story. 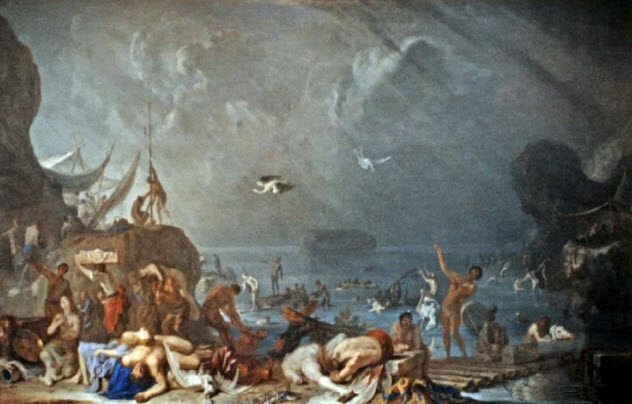 Most have an element of magic and mythology tied into their stories, while others are simply portraying the flood as factual history. In 1920 BC China, the story of their great flood didn’t engulf the entire planet. But for the people living in Lajia in the northwestern Qinghai province, it probably seemed that way. It all started with an earthquake. Rocks from the mountains fell, blocking the Yellow River and creating a natural dam. 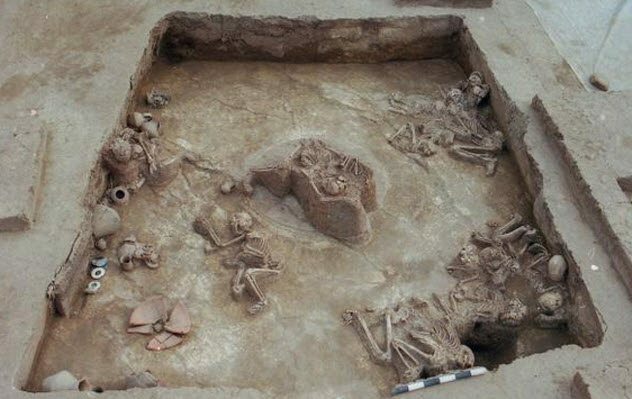 A lot of people died during this earthquake, and archaeologists have compared the remains to Pompeii because many bodies were still in the villagers’ original homes, perfectly preserved under sediment. Lajia couldn’t catch a break because that natural dam began collecting rainwater over the course of a year. It eventually burst, killing even more people with a massive flood. Survivors had to run to high ground, and everywhere—as far as their eyes could see—was covered in water. Emperor Yu spent 22 years diverting the water. Once the people regained their land, Yu began to rebuild Chinese civilization from the ground up. As the story was passed on by word of mouth over thousands of years, it became increasingly grandiose. This made a lot of modern-day people brush it off as a myth. But scientists have studied the rock formations near the Yellow River and proved that the flood really did happen. In Hinduism, the god Vishnu takes the form of 10 different avatars. One of them is the fish, Matsya. According to Indian mythology, King Manu poured water into his hands and found a tiny fish. It begged for his help to survive, so he decided to put it in a pitcher of water. By the next day, the fish had doubled in size, so King Manu kept putting it in a bigger tank. It became so massive that he brought it to the ocean. He realized that this fish was the god Vishnu, and it was grateful for his kindness. His reward was the warning that there would be a horrible drought, followed by intense rainfall and flooding. 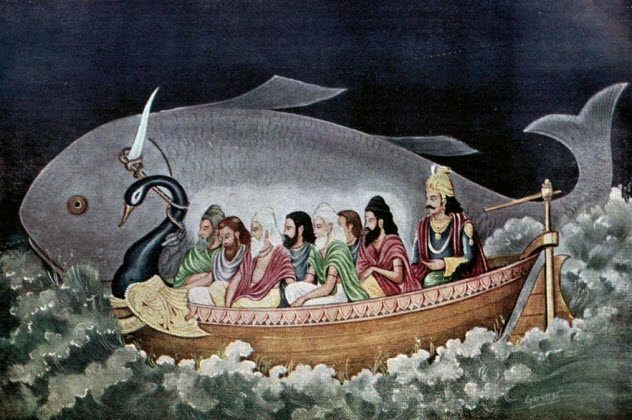 Vishnu instructed King Manu to gather all living plants and animals to survive the flood in a large boat. He brought along seven sages and their families. The sages were wise men who held all the world’s knowledge. They had to settle on land at the top of a mountain, where they proceeded to rebuild civilization. According to Native American mythology, there have been different stages of humanity that are split into sagas of the first, second, third, and fourth worlds. Every Native American tribe has a similar story of a great flood. It all starts with their creator gods being displeased with the way people have been behaving. The gods want humanity to start over, so they send a flood to cover the planet. Sound familiar? 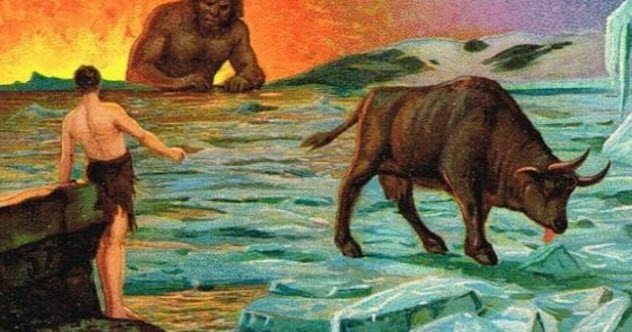 According to author Paul Goble, these accounts of Native American creation myths need to be taken with a grain of salt. Most of the stories written in English had been influenced by Christian colonists who criticized Native Americans’ actual creation myths and tried to push the Noah’s Ark story onto them. The closest Goble could track down to an authentic creation story was from the Algonquin tribe. The Earth split open, and water came out, destroying all life except for birds, fish, and other aquatic creatures. 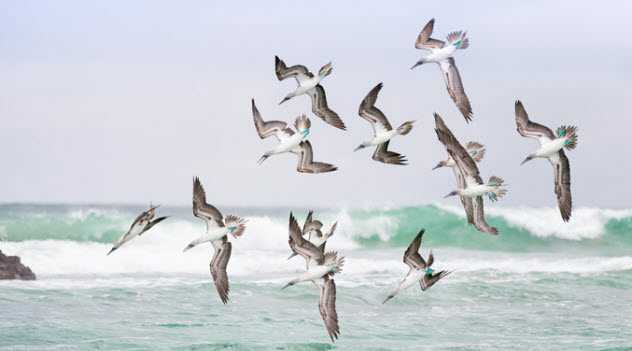 The birds were tired of flying all the time, so they asked the creator god for guidance. It told them to dive underwater and gather mud to make land. The animals all worked together to create land. In Greek mythology, Prometheus created human life from clay. However, Zeus considered this experiment to be a total disaster. Human beings were selfish creatures, and they had completely forgotten to praise the gods. Zeus thought that he needed to hit the reset button on humanity. Prometheus’s son, Deucalion, and Deucalion’s wife, Pyrrha, both lived on Earth. 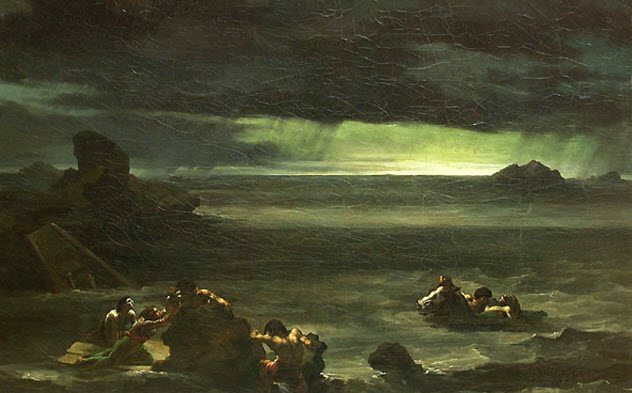 Prometheus warned Deucalion that a flood was coming, so he created a boat for their survival. A few humans lived by fleeing to the mountains. But for the most part, the water killed almost everyone. Deucalion and Pyrrha landed their boat on the top of a mountain. Deucalion wanted to bring humans back, and he was told to “throw bones of your mother” over his shoulder. He realized that the “mother” was the Earth, and the “bones” were rocks. Pyrrha and Deucalion began throwing rocks, which magically turned into crying infants. Who raised these babies? Who knows. The Maori are the native people of New Zealand. As their legend goes, the goddess Whaitiri didn’t like humans much. 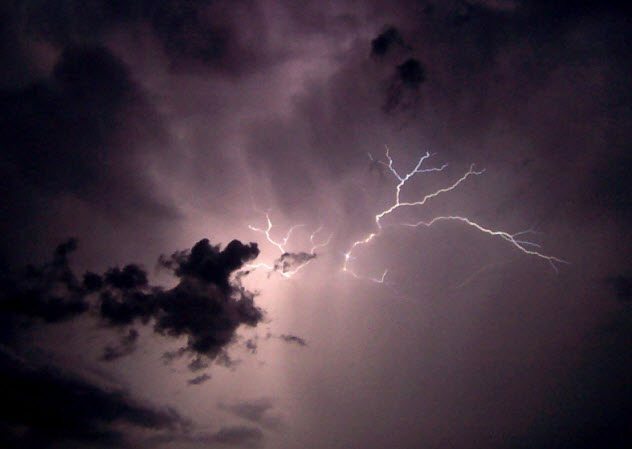 She was a cannibal who was responsible for thunderstorms, so most people were terrified of her. She came down to Earth to marry a mortal named Kaitangata because he had the nickname “man-eater.” When Whaitiri learned that it was just a tough-sounding nickname and he didn’t actually eat human flesh, she left him. Their grandson, Tawhaki, was a very good-looking man like most demigods. He married a woman named Hinepiripiri, and they were very happy. Tawhaki’s two brothers-in-law were jealous because their own wives were always talking about how hot Tawhaki was. So the brothers-in-law attempted to murder Tawhaki. Hinepiripiri nursed him back to health and built a fire to keep him warm. Tawhaki felt so angry and betrayed that he called to the gods to help him get revenge on the men who had tried to kill him. His grandmother, Whaitiri, heard his prayers and sent some serious overkill. A storm flooded the area so much that it killed everyone. Tawhaki and Hinepiripiri decided to start populating right then and there. One log burned the whole night. They named their son, Wahieroa, which means “long piece of firewood.” At least there wasn’t anyone left to make fun of his name. The native inhabitants of Australia are called the Aboriginal people. They believed that the world’s energy needed to be balanced in order for things to run smoothly. For some time, the Earth’s balance began to tip, and it led to a flood. They told the story of Tiddalick, the mythical frog. Instead of allowing it to rain, Tiddalick was very thirsty and held all of the world’s water for himself. This caused a drought. 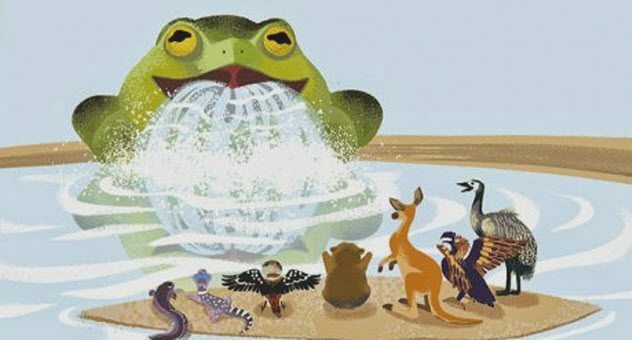 The animals wanted Tiddalick to give up some of his water, so an eel began to perform a funny dance in front of Tiddalick to make him laugh. This worked a little too well because torrents of water began to gush out of Tiddalick when he opened his mouth to laugh. This caused a flood that killed and stranded many people. Today, the story of Tiddalick is still told in children’s books in Australia, although it has been revised to be far less violent. A Babylonian clay tablet written in the Akkadian language tells the epic of Atrahasis. Long ago, the gods had to dig out canals and rivers by themselves. They grew tired of this and went on strike. The chief god, Enlil, decided to create human beings from a goddess’s blood and clay. Over 1,000 years, humans populated the Earth. But Enlil started to go a bit crazy from listening to all their noise. He commanded the disease god to spread a plague. A human named Atrahasis prayed to the gods, asking for mercy. Enki, the god of the sea, gave him the insider tip to pray to Namtar, the god of plagues, rather than “the gods” plural. Suddenly, Namtar was barraged with prayers from humans to stop the plague. It drove him crazy, so he ended the plague. Enlil was angry and tried killing people with a drought instead. After six years of famine, people resorted to cannibalism. Enki felt so sorry for humans that he took fish from the sea and let it rain food on the people. Enlil caught Enki interfering with his plan and commanded Enki to wipe out mankind with a worldwide flood. Enki knew that he had to obey his chief god. But Enki warned Atrahasis that he needed to build a large double-decker ark that was sealed with tar. Atrahasis decided to take all the plants and animals he could and told the wisest elders to get on the boat with him. It rained for seven days and seven nights, causing a flood across the Earth. The mother goddess was horrified at what Enlil had done. Desperate to continue humanity, she proposed that the new generation of humans have population controls in place instead of breeding like rabbits. She created miscarriages and stillbirths. There would also be periodic natural disasters to randomly reduce the population. Enlil decided that this was a good compromise to keep humans under control, so he allowed Atrahasis to rebuild civilization. In ancient Mesopotamia, cuneiform tablets tell the story of the Epic of Gilgamesh. The story of Atrahasis is older, and both stories predate the Hebrew version of Noah’s Ark. Many historians have noticed that the Gilgamesh story follows the same formula as the Atrahasis story. 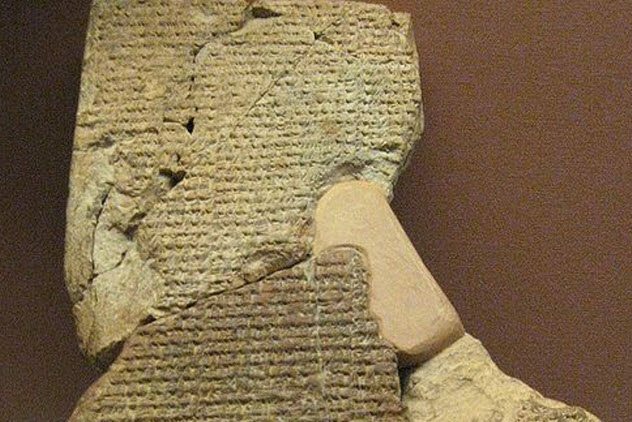 Some historians believe that since Gilgamesh was recorded at a later date, these people must have wanted to preserve the same legend. Certain names and small details were changed, with an added twist about their society’s updated beliefs. Some new details were that the gods promised Gilgamesh that he could become immortal, but it wasn’t working. The moral of the story was that he would be remembered forever if he made a lasting impact on civilization. In that way, he could never die. 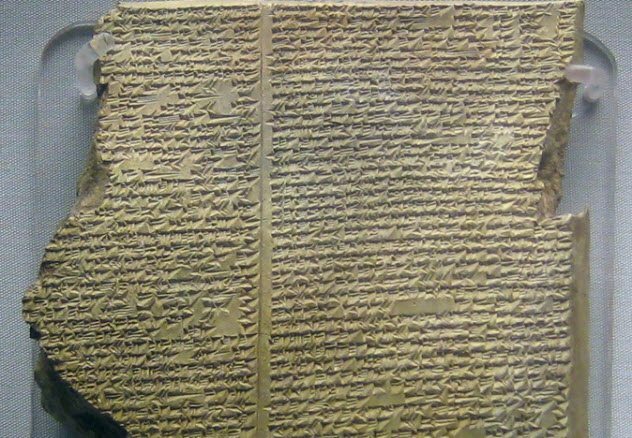 As a result, historians have suggested that the Epic of Gilgamesh should be analyzed as an artistic piece of writing rather than a work of historical nonfiction. In the Sumerian version of the story, the main character is named Ziusudra. Again, the details parallel both Gilgamesh and Atrahasis. However, the gods decide that Ziusudra deserved true immortality rather than some philosophical lesson. In the Philippines’ mythology, the Great Spirit Lumawig had two sons who loved to hunt. But the world was flat—without any hills or mountains—which made hunting far too easy. So they decided to use their magical powers to flood the Earth. They set up a hunting trap, and the flood caused it to be filled with animals and human beings. These little serial killers laughed, and they were totally pleased with themselves. Their father, Lumawig, caught on quickly to what his sons had done. Lumawig scanned the Earth for signs of life. He spotted a brother and sister who were all alone on a tiny island. Lumawig gave them fire to keep warm, his dog as a companion, and his deer for food. He used fire to dry out the planet. The land was no longer perfectly flat because the rushing water had left behind mountains. The siblings were forced to repopulate the planet by themselves. According to Norse mythology, Ymir was the first giant and the god who created mythical beings. His descendants were also gods and giants. Ymir had a magical pet cow named Audhumla, and he drank its milk for nourishment. Ymir’s grandsons—Ve, Vili, and Odin—decided to kill him. When Ymir died, his blood flowed and caused a catastrophic flood, drowning the giants. They began to tear his body apart, using materials from his body to create the planet. The ocean and lakes were made from Ymir’s salty blue blood, and his bones and flesh became the land. A frost giant named Bergelmir was able to find a boat and survive with his wife during the flood. Once the gods created land, they climbed to the top of a mountain. Their children also lived on mountain peaks. The frost giants coexisted with human beings in Norse mythology. Since they didn’t have the power to reproduce on their own, Odin, Ve, and Vili set out to create new beings with Ymir’s flesh. They picked up logs and turned them into humans. For more exciting information about floods, biblical or otherwise, check out 10 Reasons The Biblical Flood May Have Actually Happened and Top 10 Killer Floods.